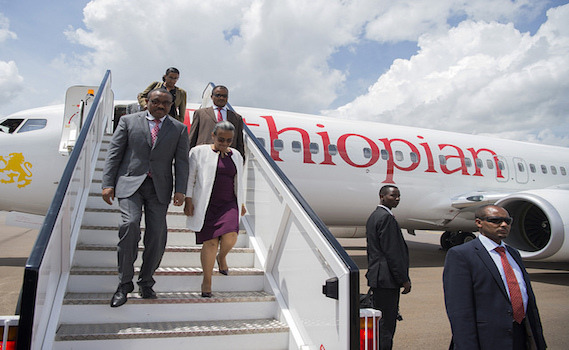 Ethiopia’s Prime Minister, Hailemariam Desalegn, is in Rwanda for a three-day state visit, where he is expected to conduct several meetings with Rwandan officials on bilateral ties. Desalegn arrived in Rwanda’s Capital Kigali Thursday morning with the First Lady Roman Tesfaye. President Paul Kagame and the First Lady Jeannette Kagame and other senior government officials welcomed the Premier on his arrival at the Kigali International Airport. This visit follows President Kagame’s in February 2017 aimed at deepening good relations between the two countries. Kagame and Hailemariam held talks about regional politics and Africa affairs in general. Rwanda Kagame said that the partnership between the two states seek to solve the economic challenges they face. Rwanda and Ethiopia have significant areas of cooperation notably in education, tourism and mutual legal assistance. Last year, an agreement was signed between Rwanda and Ethiopia to open their airspace that would allow their national carriers to operate without limitations. In 2015, Rwanda and Ethiopia recommended using new development models that can help Africa get rid of prescribed Western development models. The two countries and several other African member states agreed that Africa would not accept policies that badly represent them and eventually harm their economies. Kagame suggested then hat in order to achieve its dreams; Africa ”must stop taking lessons from the outside”. He also said that there are some nations who prescribe certain ideas in line with their interests without considering where it will be applied and the impact it has on the recipients. 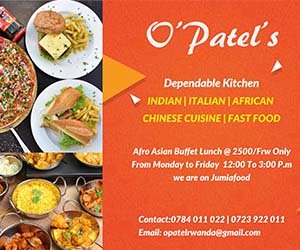 Meanwhile, Rwanda and Ethiopia had signed other agreements of partnership in 2012, in many fields such as defense, civil aviation, agriculture, trade, infrastructure water and energy as well as police cooperation. Rwanda also has an ongoing project for Ethiopia to supply electricity equivalent to 400 MW. Meanwhile, during his visit in Rwanda, Hailemariam is expected to tour several development activities around Kigali and Rwamagana District.